The Big Five are not only the most popular animals in Africa, they’re also among the most dangerous. Yet people fly into South Africa intent on sighting them. Not everyone manages to tick them off the list (the leopard in particular is rather elusive). South Africa is regarded as the stronghold of the near threatened southern white rhino, primarily in reserves like the Kruger and Hluhluwe-iMfolozi. D.b. Bicornis , one of three subspecies of the critically endangered black rhino, occurs only in Namibia and South Africa. The second, D.b. Michaeli, has one important free-ranging population in a private game reserve in South Africa. They may not be translocated elsewhere in the country. And South Africa is believed to be the stronghold of the third subspecies, D.b. Minor. 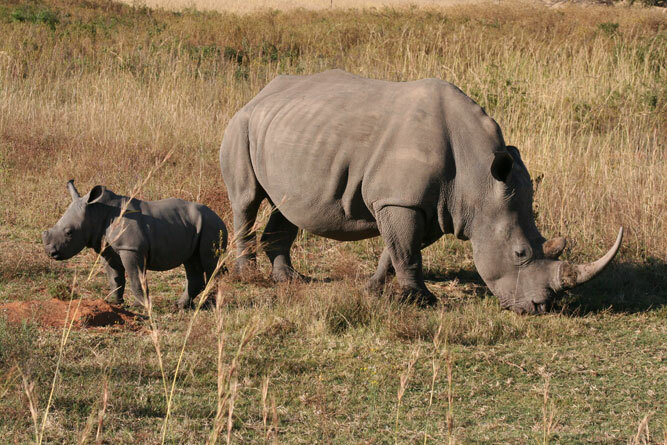 Good places to see rhino include those reserves that have successful breeding programmes. 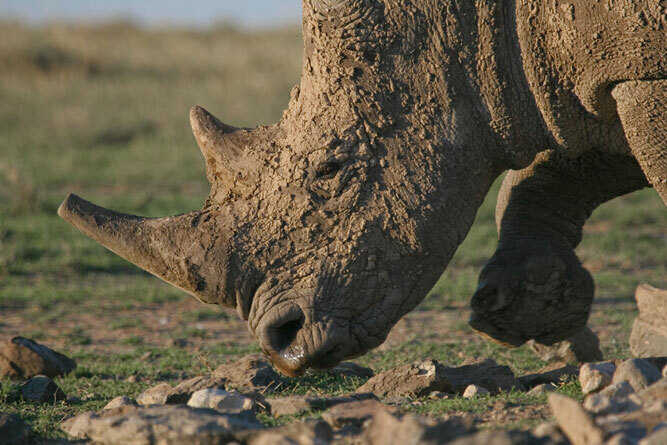 Note: a number of reserves do not advertise the fact that they have rhino because of the high levels of poaching. Regarded as the most dangerous animal in the world (there is no animal more dangerous to man), the African buffalo, or Cape buffalo, is fond of woodland savannas, or bushveld. They live close to water and prefer tall coarse grasses and bush. 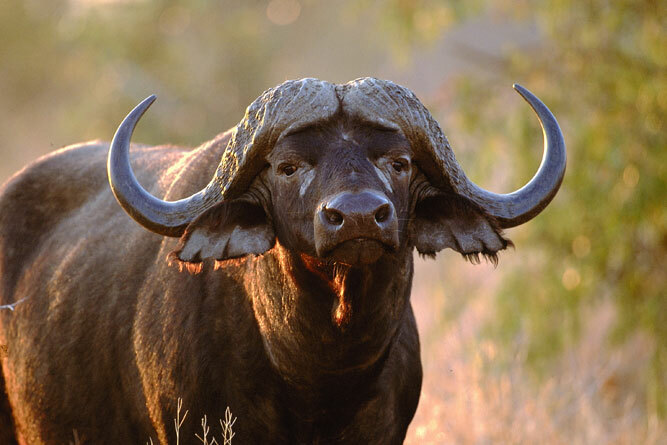 Large herds of buffalo are found in the Kruger, but smaller groups are also accessible in Zululand and the Eastern Cape (East London’s nickname is Buffalo City, named after the herds of buffalo that once roamed there). 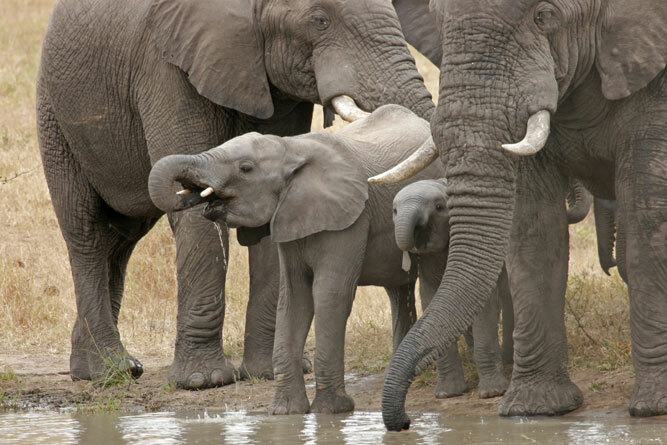 The African elephant is listed as vulnerable on the IUCN Red List. Found in 37 countries across sub-Saharan Africa they are extinct in Burundi, The Gambia, and Mauritania. Their numbers are becoming more and more fragmented across the continent more recently due to loss of habitat and human-elephant conflict, but also due to poaching for ivory – the major cause, historically, for their decrease in numbers. 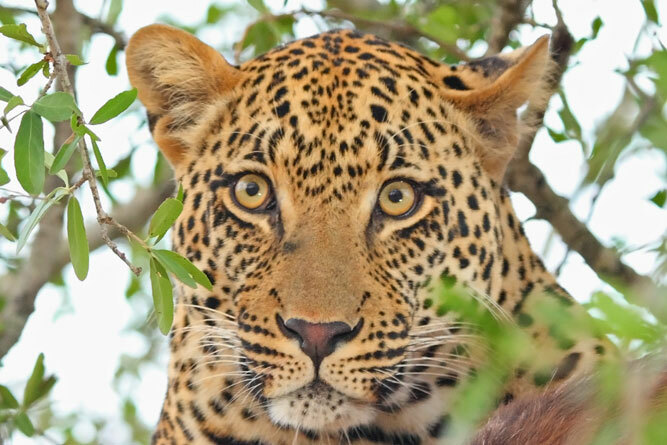 Regarded as near threatened by the IUCN Red List, the leopard is found across sub-Saharan Africa and is native in many countries of the world. In Africa they have disappeared from at least 37 per cent of their historical range, particularly in an area known as the Sahel belt, Nigeria and South Africa. Their greatest threat is intense hunting, and poisoning of carcasses for perceived threat to livestock, andchange in habitat due to development. However, they are particularly adaptable and can continue living close to humans provided they have access to prey and can find shelter. 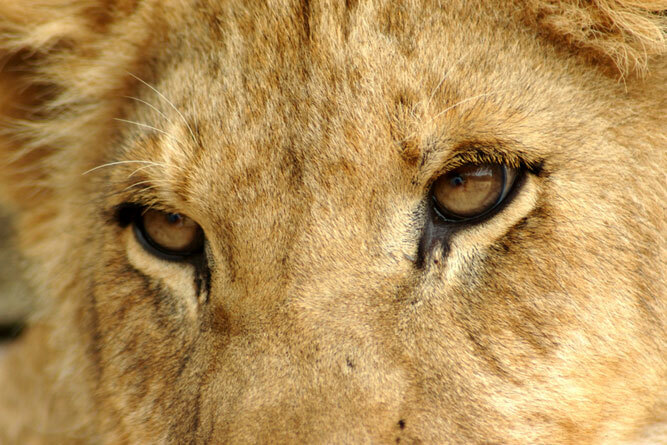 The lion is listed as vulnerable on the IUCN Red List. You will find them in many countries in sub-Saharan Africa but most of them are found in eastern and southern Africa (77 per cent). They live, however, in only 22 per cent of their historical range and are extinct in Gabon and many other countries where they originally occurred, like Algeria, Egypt, Iran, Israel, Lesotho and Tunisia. The main threats to lion are a decrease in the numbers of their prey, and indiscriminate killing by man (to protect livestock or themselves). However there are many lions in those areas that are protected and well-managed. And because they are so sought after by visitors, their presence in a reserve or park generates revenue – an incentive for conservation. Planning to see the Big Five? This is a really great article. It is overwhelming trying to search through all the reserves to visit and decide which ones are the best for your trip.